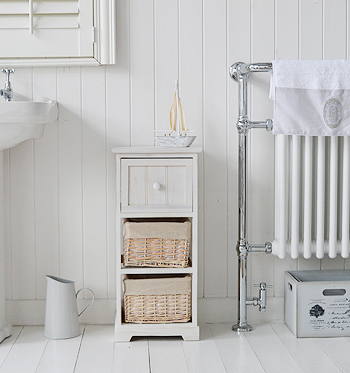 Do you want to bring the nautical look to your bathroom? Decoratign your bathroom in coastal style is extremely popular. At The White Lighthouse we have designed a range of coastal nautical bathroom furniture in the calming colours of the sea to create a chic relaxed feel. With storage being essential in the bathroom we have designed our coastal bathroom furniture with good sized drawers to provide as much space as possible, even if you only have a small space.